As we get closer to the holidays, a fun infographic about our favorite foods seems fitting! Head on out to Roosevelt Row in downtown Phoenix Saturday September 26th. 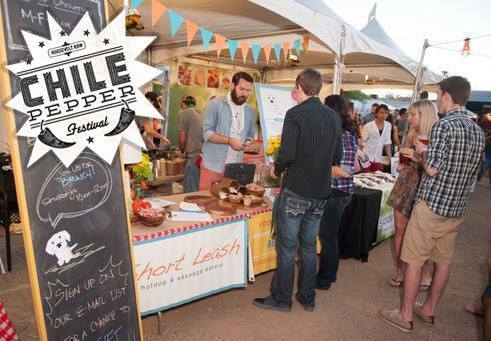 The Chili Pepper Festival is an event that is centered around food and music. Local chefs and restaurant owners will participate in the Chile Pepper Challenge. Activities include onsite chile roasting, cooking demos, live music, salsa dancing, activities for kids, a talent show hosted by Lawn Gnome Publishing, a Beer Garden presented by Deschutes Brewery AND a gourmet margarita station by 3 Amigos Tequila will all be on the menu! Announcement of the Festival’s best chile pepper dish winners and crowning of the year’s Chile Pepper Champion will culminate the festivities. All proceeds from the Chile Pepper Festival go towards supporting Roosevelt Row Community Development Corperation, an organization committed to building a vibrant, dense, diverse, walkable and bikeable urban arts district in downtown Phoenix, and to the Roosevelt Growhouse, an urban agriculture and education program where teens and community members work side-by-side to learn the importance of healthy living, while actively building their community together. Whether you plan on wearing green or spending plenty of it this St. Patricks Day, here is a list some fun local events and specials happening this Tuesday. This year celebrate St. Patricks Day at the Irish Culture center. With a mix of music, food, and drinks your sure to have a great time. For more info check out their website: www.azirish.org. If your favorite part of St. Patricks Day is eating tons of corned beef and cabbage then visit your local Chompie’s for All-You-Can-Eat Corned Beef Feast. There you can enjoy a meal of Chompie’s famous corned beef, boiled potatoes, cabbage and Irish Soda bread. This St. Patricks Day Special will be available from 11am-close, at $21.99 a head. For more info visit their site: www.chompies.com.